From the sound of it, kids as young as 14 could have assembled the Wii U. Last week, Nintendo issued a statement to Kotaku, saying it was looking into the matter. Today, Nintendo offered Kotaku an update on the results of its investigation. 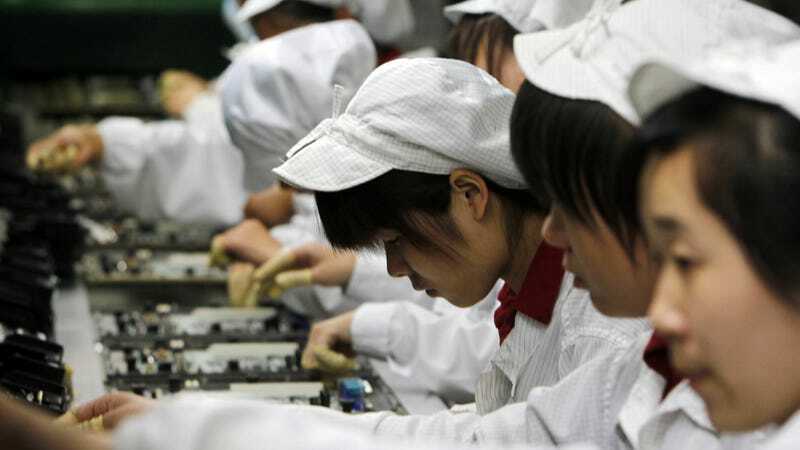 According to Charlie Scibetta, Nintendo of America's senior director of Corporate Communications, "Nintendo was concerned to learn that underage individuals had been working at a Foxconn facility in China where components for some Nintendo products are produced. Nintendo investigated the incident and determined that this was a violation of the Nintendo Corporate Social Responsibility (CSR) Procurement Guidelines that all Nintendo production partners are required to follow, based on relevant laws, international standards and guidelines." Continuing, Scibetta added, "Foxconn has taken full responsibility for this incident and has moved quickly to ensure that all affected individuals no longer work at Foxconn. In fact, Foxconn's own policies prohibit the employment of underage individuals and the company has pledged to Nintendo via direct communications to improve its process of enforcing this policy to avoid any similar issues in the future." "As one of many companies that work with Foxconn to enhance CSR along the whole supply chain, we take this issue very seriously," added Scibetta. "As part of our ongoing procurement process, Nintendo staff will continue to carry out on-site inspections of our production partners in order to understand the actual on-site conditions and to promote socially responsible procurement." It's worth pointing out that Nintendo revealed today in a financial statement that manufacturing for the Wii U kicked off during the previous quarter—which is when these interns supposedly worked on the console's production line in the Foxconn factory. You can read more about the Nintendo Corporate Social Responsibility in the company's 2012 report.